Elizabeth Holmes began to believe that he was really the next one to change the world. But now Elizabeth has become the protagonist of Shibuya’s biggest scam. She launched the “revolutionary blood test device”, claiming that more than 300 blood detection projects can be completed with only fingertip blood collection. The final debunking is a scam. After the myth of the “Jobs” was broken, Elizabeth had a new title – the Millennium version of Madoff . Bernard Madoff designed the largest Ponzi scheme in history, causing investors to lose more than $50 billion. HBO recently launched a documentary on Elizabeth’s “inventor” (at The Inventor), exposed the scam behind this big Silicon Valley for more details. With a chicken rib product that can only detect several blood indicators, Elizabeth has developed a company with a valuation of 9 billion US dollars and 800 employees, and has been safe for 15 years. It is not unreasonable that Elizabeth is called “the female version of Jobs”. In the middle school era, Elisabeth showed a genius side, and the results have been maintained at the full A, and at the 17-year-old admission to the prestigious Stanford University, also received $3,000 monthly research funding, embarked on the road of scientific research. 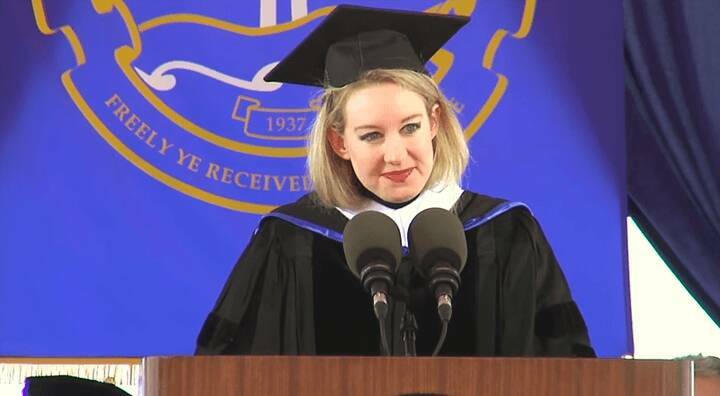 ▲ Elizabeth gave a speech at Pepperdine University. Channing Robertson, Dean of the Stanford School of Engineering, is Elizabeth Bole, who made an exception to let Elizabeth, a freshman, enter the lab to work with doctoral students. In the summer of the freshman year, Elizabeth entered the laboratory of the Singapore Genomics Research Center, which was at the time of SARS, and Elizabeth was responsible for detecting the SARS virus in blood samples. After returning from Singapore, Elizabeth applied for the first patent in her life, a wearable drug-injected patch, which surprised Channing. In the second year, Elizabeth decided to drop out of school, and Dean Chan Ning not only supported her decision, but also acted as a consultant to the board. The company founded by Elizabeth is called Theranos, which is a combination of English “therapy” and diagnosis. It is mainly used for micro blood detection, that is, only one drop of blood can detect multiple indicators. The story is here, you seem to see the shadow of the growth trajectory of Jobs and Bill Gates. In fact, Elizabeth is a big fan of Jobs. In the process of entrepreneurship, Albeth is almost a model. Like Jobs, Elizabeth only wears black turtleneck sweaters and slacks in public. In order to match this dress, Elizabeth asked the company’s air conditioner to remain at 15.5 °C for many years. When she spoke, she also deliberately imitated the low baritone of Jobs. In the HBO documentary, many former employees of Theranos suspected that Elizabeth’s voice was installed, because she occasionally slipped and drunk when she heard her true. sound. Elizabeth seems to hope that by imitating Jobs, she is a maverick image of a maverick. Such people are very popular in Silicon Valley, and Iron Man, who wants to immigrate to Mars, is one of them. This is what people who want to change the world will encounter. They were mad first, then began to fight shackles, and 妳 finally changed the world. Although Elizabeth did not change the world in the end, her personal brand image was very successful, and she seemed to have a marketing ability comparable to that of Jobs. This girl, the next Jobs, is the next Bill Gates. At first glance, Theranos’s board of directors is like a small cabinet in the United States. Interestingly, as a medical technology startup, the board of directors has not even a person with a medical background. When Theranos was questioned, the media tycoon Mei Long, who is known for her investment savvy, invested $125 million in Theranos. The value of Theranos was as high as $9 billion, and Elizabeth’s personal worth was more than $4 billion. Although it is difficult to understand her, I admire her. Because she is a woman who enters science and technology, she has also established her own company and is an ideal idol. Cheung’s answer is very representative. After all, in the male-dominated Shibuya, the female founder who can hold the technology developed by the company to make the company a unicorn is rare. Investors, the media and even the American people need this kind of story. A drop of blood burned $1.4 billion, where did the money go? According to Elizabeth’s vision, her product can detect more than 200 physical indicators as soon as she collects one or two drops of blood. She hopes that patients with needle phobia like her can complete the physical examination quickly and easily. If this idea is realized, it will completely subvert the medical testing industry. It is necessary to know that a drop of blood is only one-thousandth of the blood collected by the hospital, and it takes 1-2 days for the hospital to get the result. Even more exciting, Elisabeth reduced the hospital’s $50 blood test fee to $2.99. This means that Theranos is expected to replace 70% of the US medical testing industry. The industry’s annual revenue in 2017 is about 73 billion yuan, which is also a strong data for Elizabeth to attract investors. However, after the $1.4 billion financing of the front and rear, Theranos finally created only one instrument that could detect only a few indicators and had a very high error rate. “Wall Street Journal” reporter John Carreyrou published last year’s ” Blood Blood: Shibuya Unicorn’s medical scam! 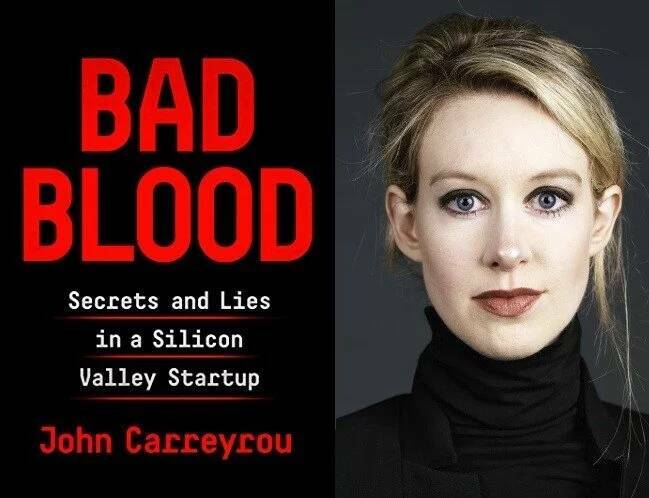 In the Blood, Deep Blood, details of the development and fraud of Theranos products are revealed in detail. Perhaps it is imitating that Jabes is too deep into the play, and Elizabeth is very stubborn in creating a “perfect product.” Because the amount of a drop of blood is really difficult to meet the needs of the test, the team has recommended increasing the amount of blood collected, which was strongly opposed by Elisabeth and expelled the product manager. Elizabeth didn’t feel bad when she paid for it. The $200 blood box was scrapped once and she lost hundreds of dollars a week. However, the product has not reached the standard, and the market has appeared in the competition to detect 31 indicators in 12 minutes. Elizabeth finally turned the idea of ​​making a fake. In order to win the order of Walgreen, the largest chain drug dealer in the United States, Elizabeth actually boasted that Haikou said that its products can complete more than 300 tests and even screen cancer. In fact, the only product of Theranos, Edison, can only detect several indicators. When you say a lie, you have to say more lies. In order to meet the testing needs of the Walgreen store, Elisabeth spent a lot of money to buy a large number of large-scale Siemens testing equipment, the blood pumped from the store back to the laboratory to test with Siemens instruments. 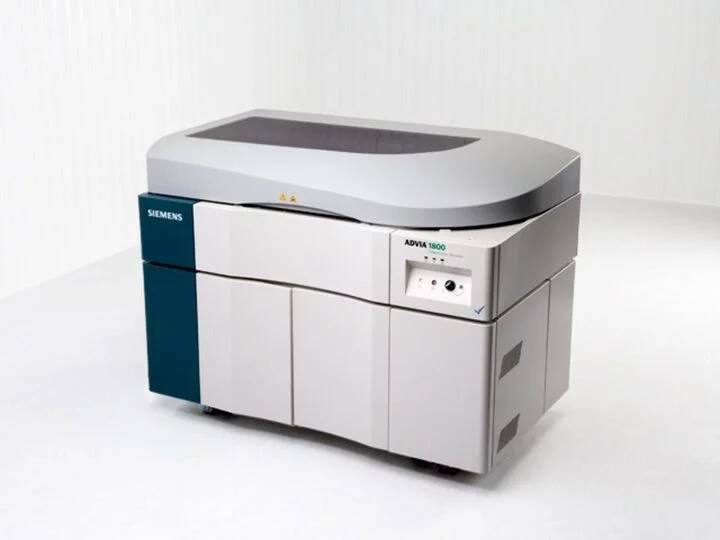 ▲ This Siemens test instrument weighs 1,200 kg. However, the Siemens instrument could not solve the problem of insufficient blood collection. In addition, the blood was not properly stored during the transportation process, and the test results were still unreliable. The original promise of “a drop of blood accurately and accurately detecting more than 300 indicators” did not. 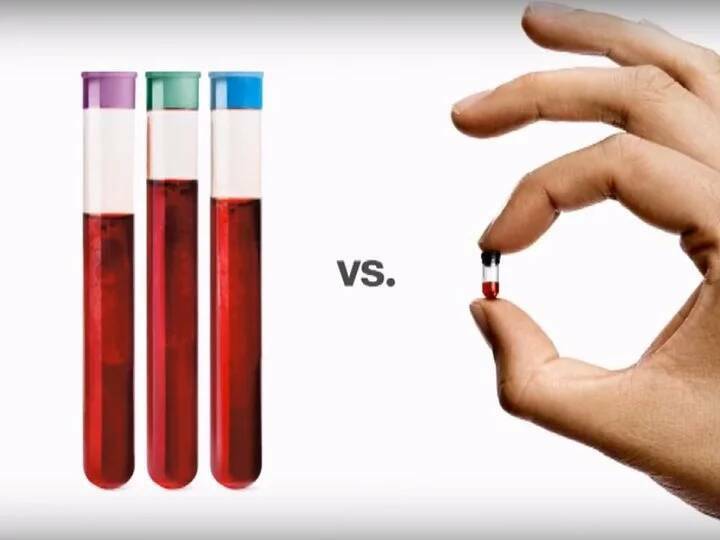 According to a survey released by the US Food and Drug Administration (FDA), only 12 of Theranos’ 250 tests were completed by Edison, and only 12 of them were accurate. The $1.4 billion that Theranos received was not really spent on product development, and many spent on Elizabeth’s luxurious life and paying expensive attorneys’ fees. “Vanity Fair” magazine article recently revealed , Theranos headquarters monthly rent costs $ 1 million, a conference table for $ 100,000, Elizabeth Travel 2017 is a private jet, also equipped with security guards, Private chefs, assistants, drivers and public relations spend up to $25,000 a month on personal expenses. After the scam was revealed, both Elizabeth and her boyfriend faced multiple charges for alleged fraud. It is reported that the lawyer’s fees are up to several million dollars per month, which are paid by Theranos. 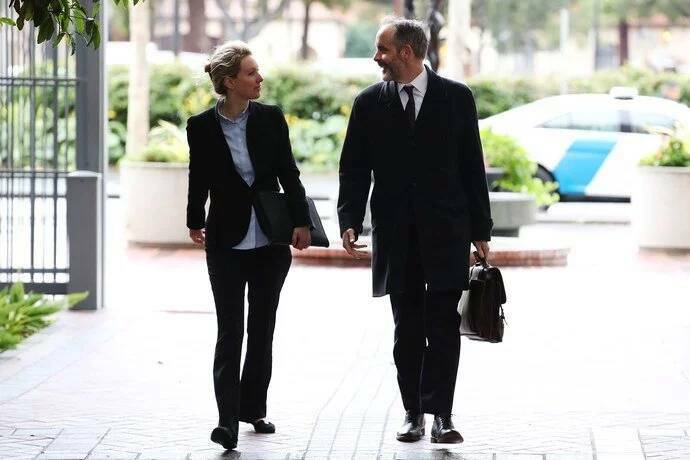 ▲ Elizabeth and the lawyer arrived at the federal court. There are as many as 9 law firms in charge of Elisabeth and Theranos, including David Boies, the star lawyer who represented Microsoft in the antitrust case. He is one of the most expensive lawyers in the US intellectual property rights field. Investors’ money has been squandered, and the media that has been beaten has turned faceless. “Fubby” has zeroed Elizabeth’s personal worth, and Fortune magazine called her “the most disappointing in the world. The leader, “The female version of the book” was completely collapsed. The US court’s trial of the biggest scam in Shibuya continues. The January file shows that the US Department of Justice is still sorting out 16 million to 17 million pages of files. The judge said that “the situation is more serious than the original indictment.” , Elizabeth or facing 20 years in prison . The reason why Elizabeth’s scam was not discovered for more than a decade, in addition to her excellent marketing ability and media support, is that Theranos requires each employee to sign a very strict confidentiality agreement, because most employees are afraid of high compensation. Everything that comes to it is silent. This also increases the difficulty of interviews with the media. HBO documentary film director Alex Gibney said that it was not easy to get the film of the Theranos and interview the staff because of the confidentiality agreement. But Elizabeth doesn’t seem to think that the good days have passed. “Floating World” quoted the former high-level news of Theranos, saying that the company’s indictment piled up like a mountain, and when the employees left the group in a row, Elizabeth did not show any dissatisfaction, participated in the board of directors like nothing else, and even had a leisurely help to help the dog. Apply for a search and rescue training course. Another former high-ranking close to Elizabeth said that Elizabeth thought she was also a victim, and she blamed the current situation on the incompetence of the lawyer team. She said that there was a way to persuade a journalist who won the Pulitzer Prize to believe that although Theranos technology is not yet mature, it will eventually change the world. The story of Elizabeth seems to be full of chance, but in today’s Internet companies can see similar shadows. Examples of how the Theranos are abused by the founders due to lack of internal control and management processes are commonplace in star companies such as ofo and LeTV. HBO documentary film director Alex Gibney is similar . He pointed out that many Shibuya people think that Theranos is not the real side of Shibuya. In fact, the Silicon Valley giant is also lying to the public. Apple hides the truth about battery aging and downsizing. Facebook and Google abuse users. . When we stand up again, you can see the successful Theranos.